Wow, I have been off the radar this whole weekend from blogger because I was away with no Internet access! 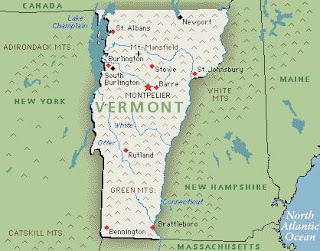 The reason we didn't have Internet access is because we spent the weekend at my best friend's vacation house in Vermont! We had so much fun. We ate at my favorite restaurant called Sugar and Spice. Their food is AMAZING! Maple syrup is fresh along with those great pancakes....mmmmm goood. I have much to catch up of our weekend so this week will be a re-cap of the weekend. Stay tuned to hear about the Demolition Derby!